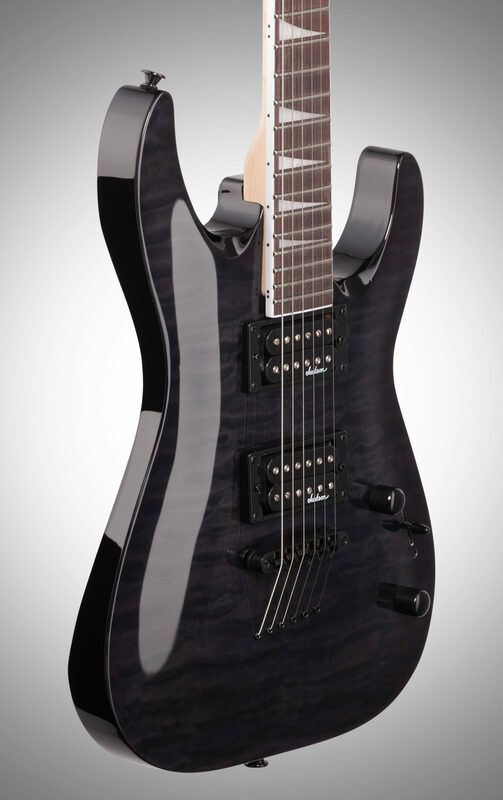 Swift, deadly and affordable, Jackson JS Series guitars take an epic leap forward, making it easier than ever to get classic Jackson tone, looks and playability without breaking the bank. 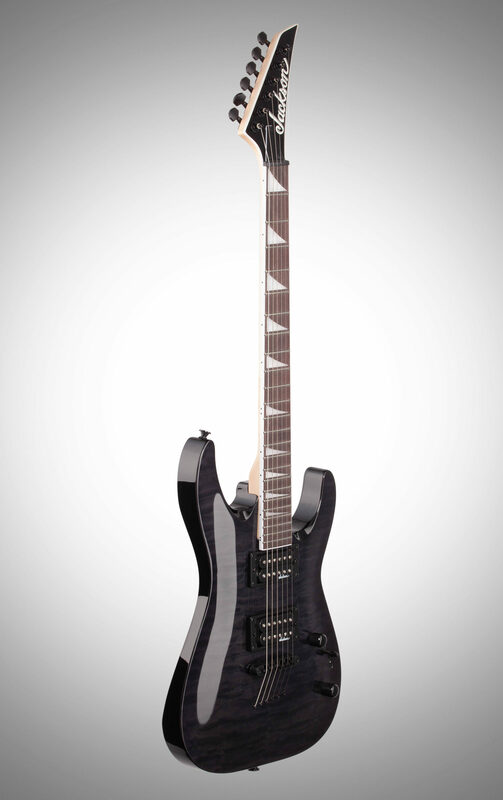 The Jackson JS Series Dinky Arch Top JS32TQ DKA has a poplar body with a beautiful quilt maple arched top and a bolt-on maple speed neck with graphite reinforcement for rock-solid stability. 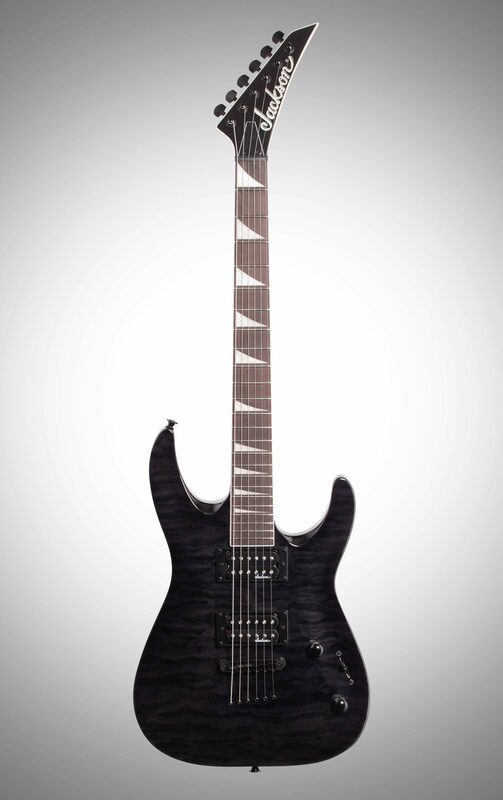 Hosting 24 jumbo frets and pearloid sharkfin inlays, the 12-16" compound radius amaranth fingerboard gradually flattens toward the heel from its more rounded profile at the nut. 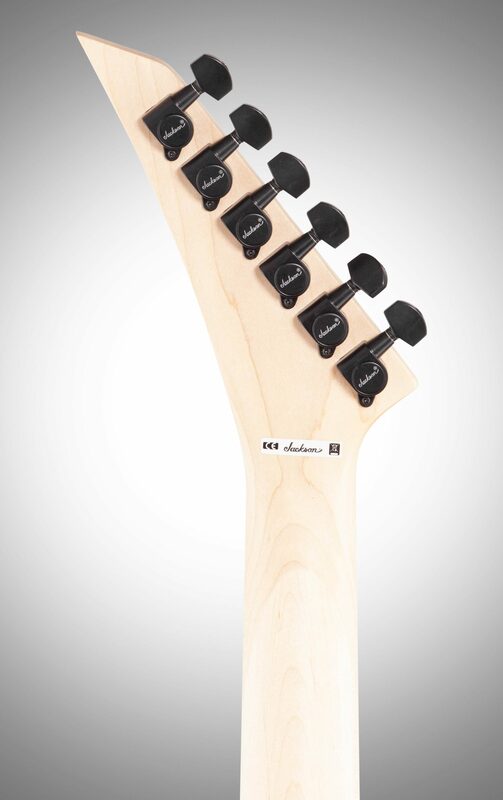 This makes for comfortable and natural-feeling chording and riffing near the nut, with optimal shred articulation and bending nearer the heel. 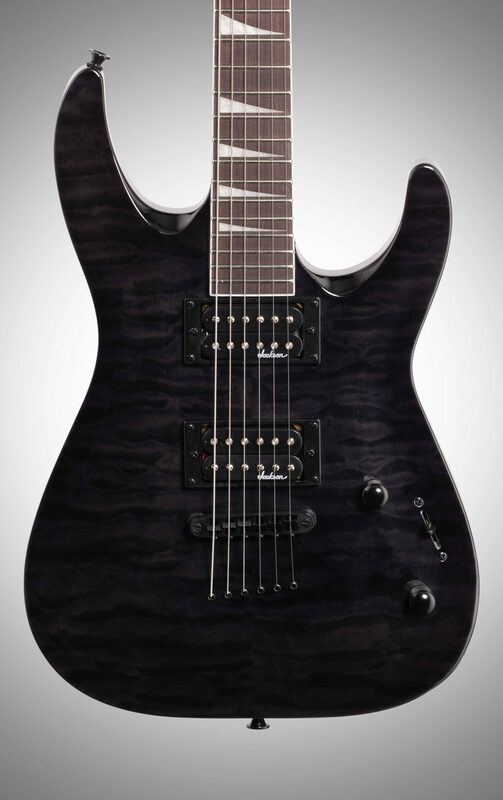 Powered by direct mount dual Jackson high-output humbucking pickups with ceramic magnets, the JS32TQ DKA also features a three-way blade, Jackson compensated and adjustable string-through-body TOM-style bridge and die-cast tuners. 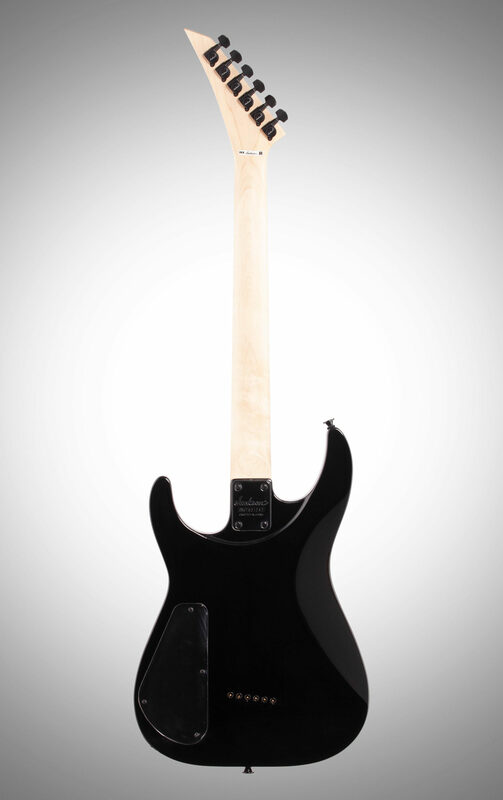 Available in Transparent Black,Transparent Blue or Transparent Red, the JS32TQ DKA is finished off with stylish white binding around the neck and headstock and all-black hardware. 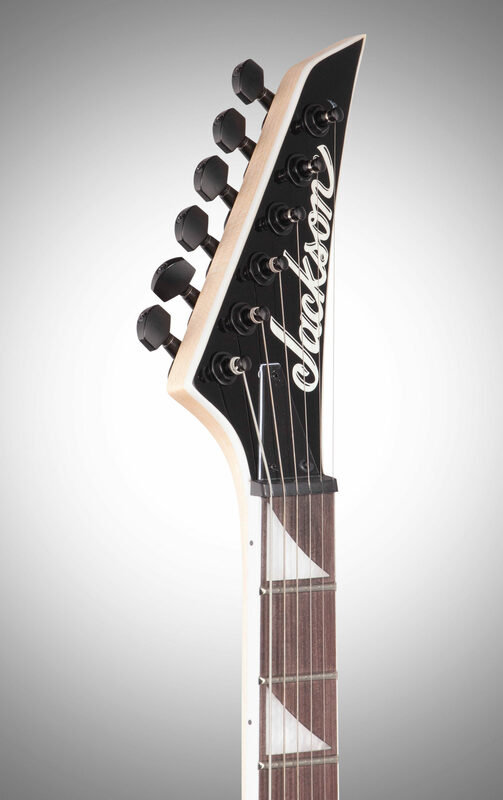 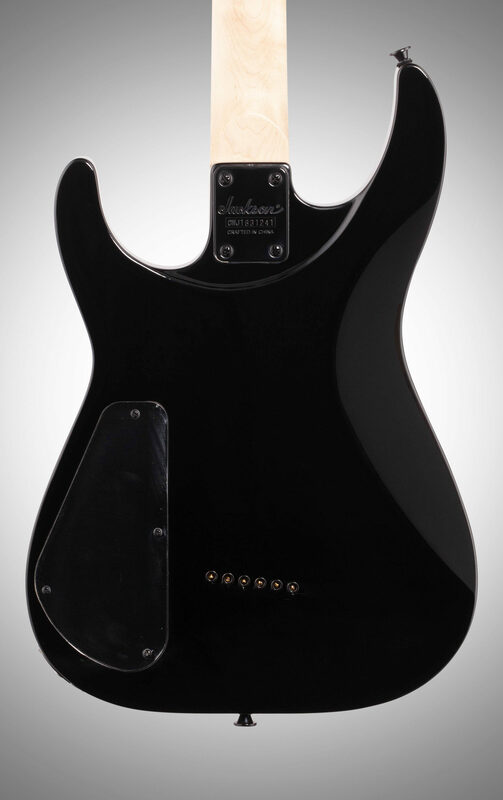 zZounds is an authorized dealer of Jackson products.